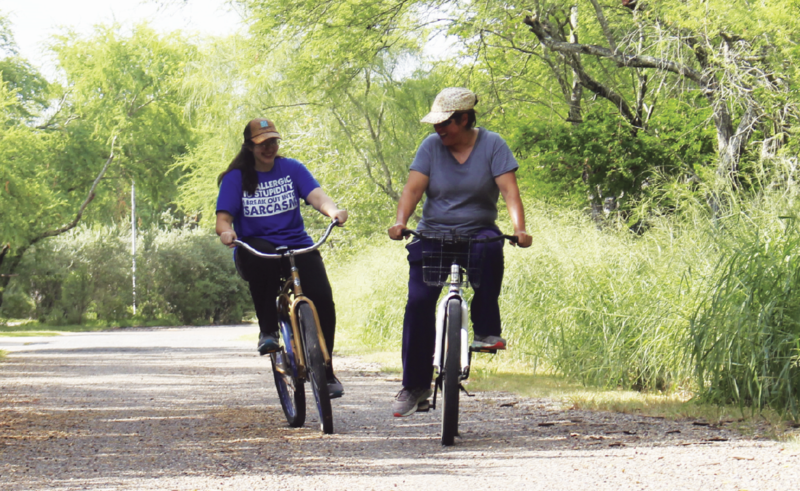 BROWNSVILLE — As a mother and daughter pedaled on a Thursday morning through Resaca De La Palma State Park, the sound of cicadas and rustling leaves provided relaxation while they continued their morning exercise. Harlingen resident Araceli McCameron said she and her daughter, Christian, visit Resaca De La Palma as often as they can. From July to September, the park, located at 1000 New Carmen Ave. in Brownsville, offers visitors different activities, including tram tours, guided hikes, archery, arts and crafts as well as reading programs for children. 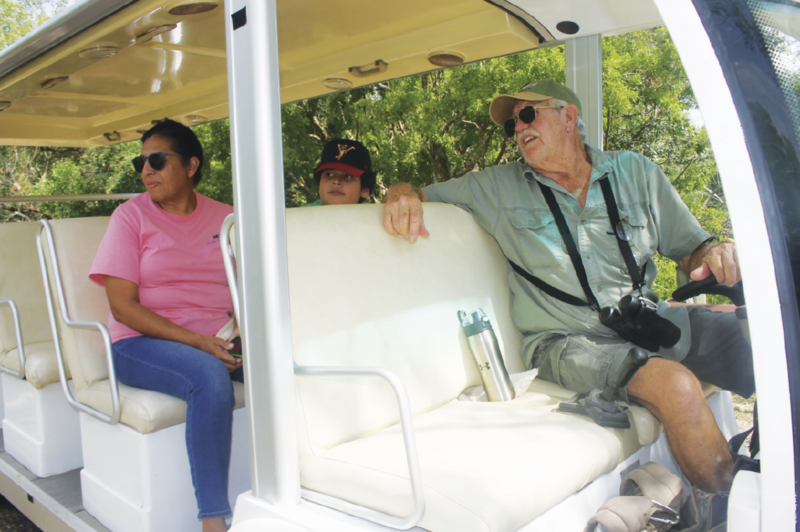 Park Ranger Kelly Cummins said the nature tram tours are one of the most popular attractions at Resaca De La Palma. Texas Master Naturalist Keith Foerste, who volunteers once per week at the park, is a guide for nature tram tours. Foerste said people, especially young children, can learn a lot from visiting the park. He said he loves to share his knowledge and provide visitors with education on wildlife. Cummins said visitors who take a tram tour have the opportunity to see all types of wildlife, and the experience is never same. Change also was seen when heavy rain hit the Rio Grande Valley several weeks ago. The 1,200-acre park received about 12 inches of rain, which helped boost plant and animal life, Cummins said. The park is made up of five habitats: Resaca wetland, Texas ebony forest, mesquite savanna, Tamaulipan thorn forest and sugar hackberry woodland. 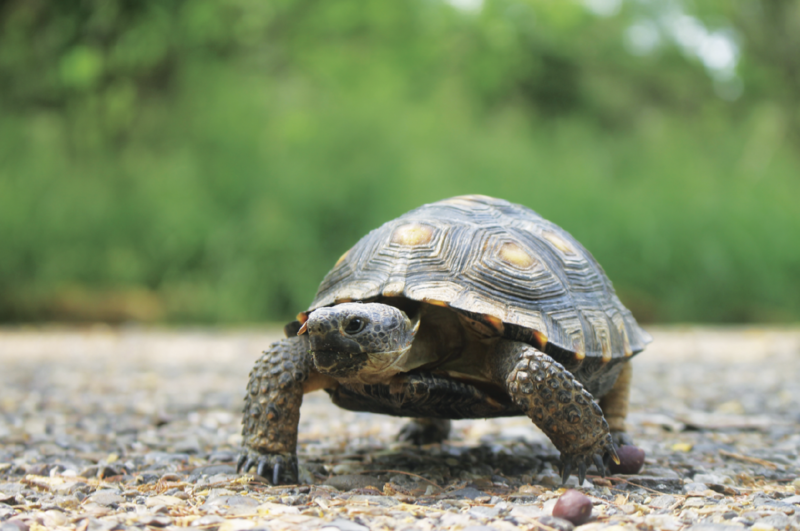 Resaca De La Palma is home to more than 200 species of birds, butterflies, bobcats, coyotes and feral hogs. Aside from outdoor hikes and tours, the park also offers indoor activities, such as arts and crafts and reading programs. McCameron said people, especially locals, should take advantage of all the activities the park offers. The park’s visitors center is open from 8 a.m. to 5 p.m. Wednesday through Sunday. Park grounds are open from 7 a.m. to 10 p.m. daily. A pay station for those who arrive before 8 a.m. or after 5 p.m. is available. The entrance fee is $4. Children under 12 enter free. For more information on Resaca De La Palma or upcoming events, call (956) 350-2920 or visit the park’s Facebook page.